Earlier this week I was walking from the car park to work, neatly suited, clutching my handbag and a bit flustered because I was running late, when I found myself pause and swivel: wow, what a perfect specimen of an edible weed. I looked around. “I wonder if it would be really bad form for stop and dig this up?” Yes, I am foraging again. On this occasion I opted to bypass the opportunity as it was a bit inconvenient. 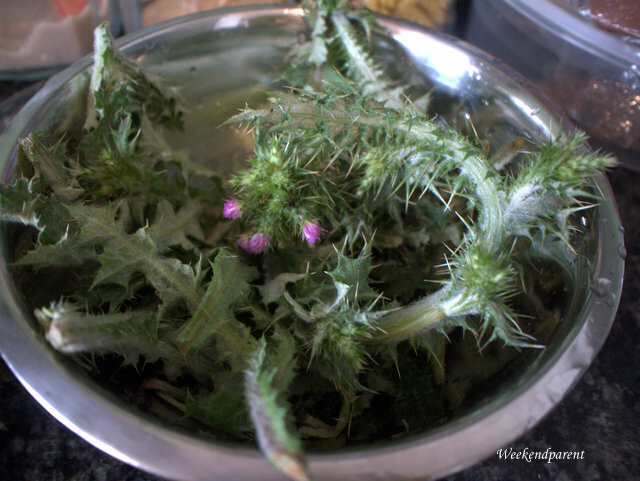 It wasn’t so much that I was in a hurry to get to my desk as the type of garden weed I had found: thistles. 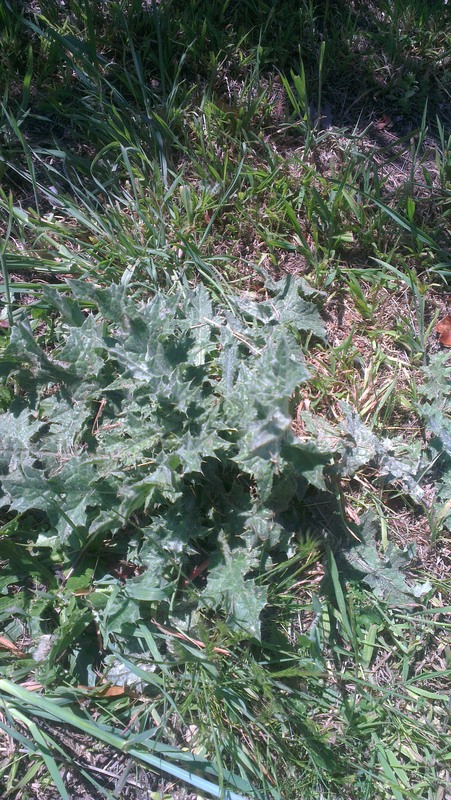 I have some considerable financial issues, yet I’m not so destitute that I must eat weeds to survive. But I have found that I actually like eating certain weeds, in moderation. 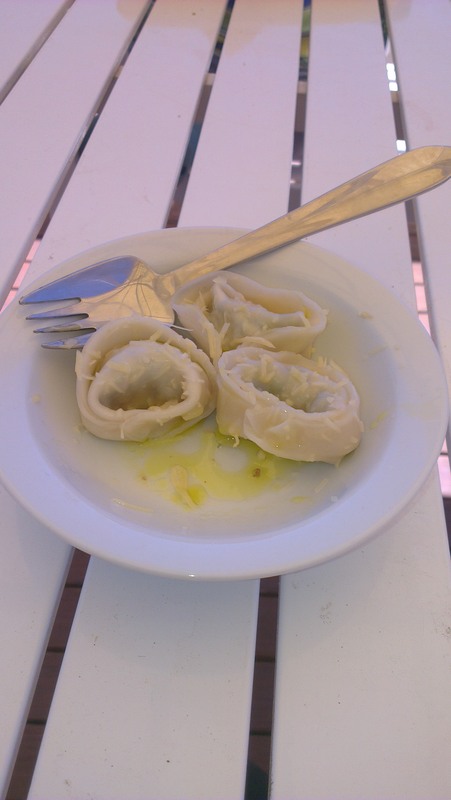 For one thing, they are extremely healthy with many having super-food health benefits such as high levels of antioxidants and detoxification properties. For another, assuming they haven’t been sprayed by local council as a noxious weed, they would have a lot less chemicals on them than the 50 or so found in perfect spinach specimens for sale at the local shops. At first I thought this prickly plant was something annoying that I needed to find a way to eradicate. Then I realised I could eat it. 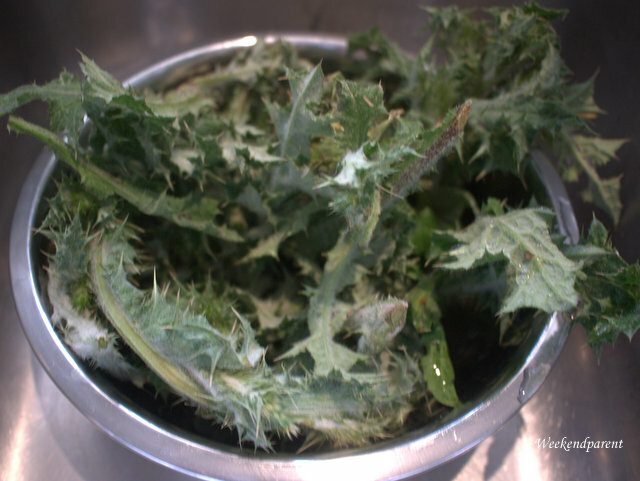 Rinse the milk thistles and set aside. Bring a small saucepan of water to the boil. 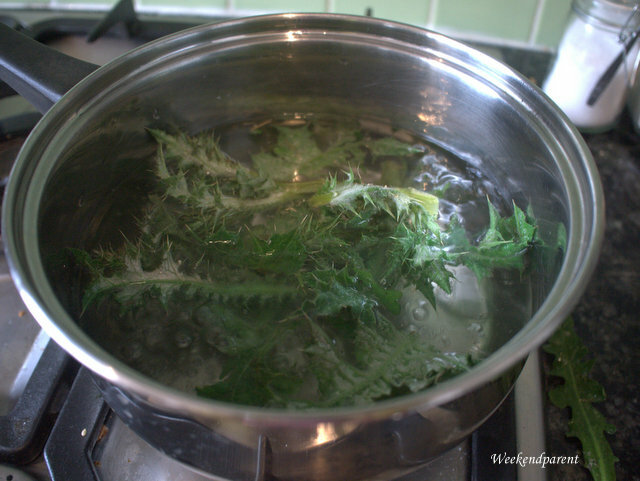 Add the milk thistle in batches, and cook for a few minutes. I found it helpful to use tongs for this. 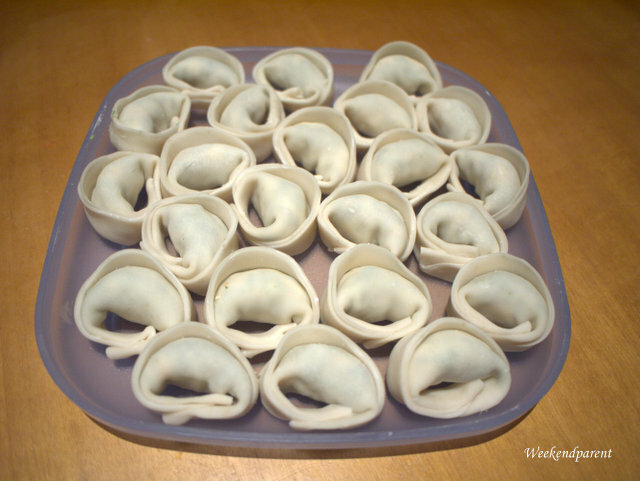 Remove, place in a bowl of cold water and allow to cool. 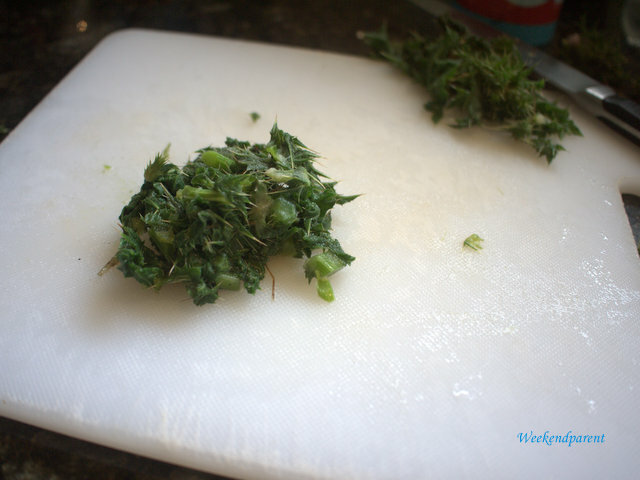 To prepare, wearing gloves squeeze several leaves to remove excess moisture then chop finely. 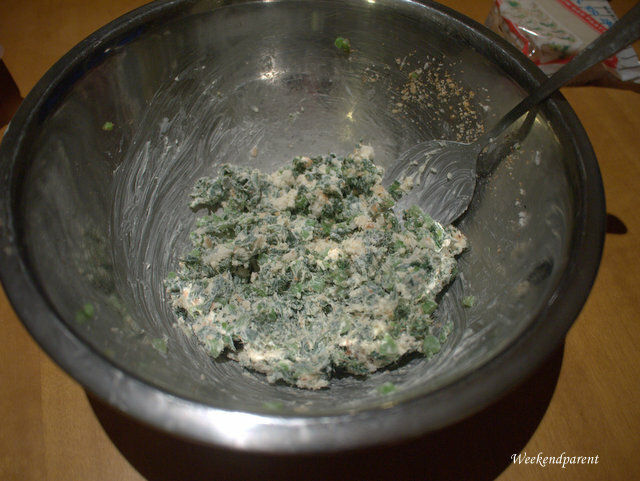 In a large bowl, combine the spinach, cheese, breadcrumbs, grated nutmeg and a pinch of salt. 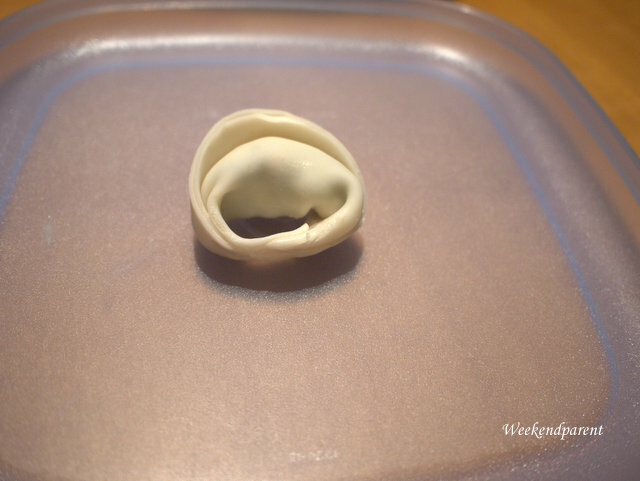 Place a teaspoonful of mixture in the centre of a gow gee (jiaozi) wrapper. 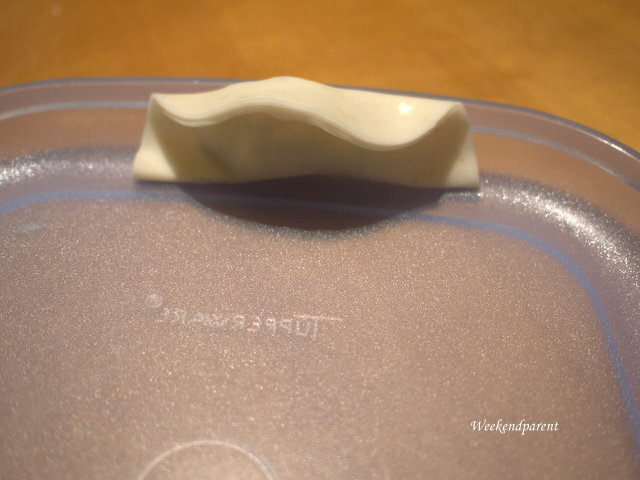 Fold over to make a crescent shape. Madness! Surely? Eating the thing we gardeners are forever trying to eradicate from our backyards? I need to forage. I need to figure out, just what I can eat from my weedy backyard 😳 It’s my homework now, thanks. 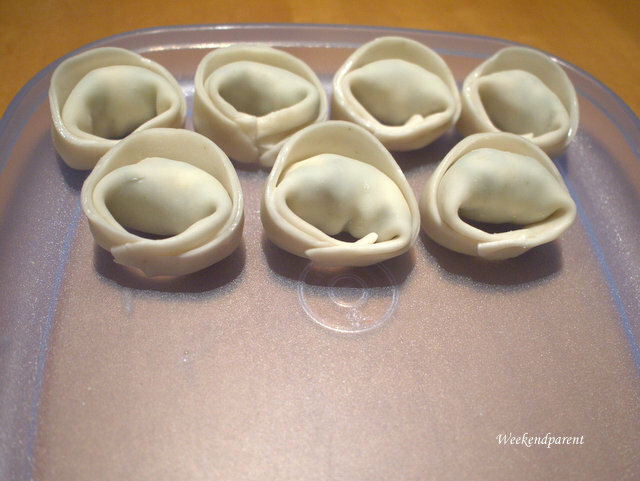 I was inspired by one of my macrobiotic cookbooks. I so like the macrobiotic diet, try to incorporate the seasonal and medicinal elements but fall way short. Anyway, in the book a Japanese lady talks about how she likes to go on picnics with her family in the early spring and collect edible weeds. Many ‘weeds’ have amazing health benefits. Early spring is the best time to eat harvest and weeds because they are still tender and fresh, and spring is also a good time to detox the body with greens. 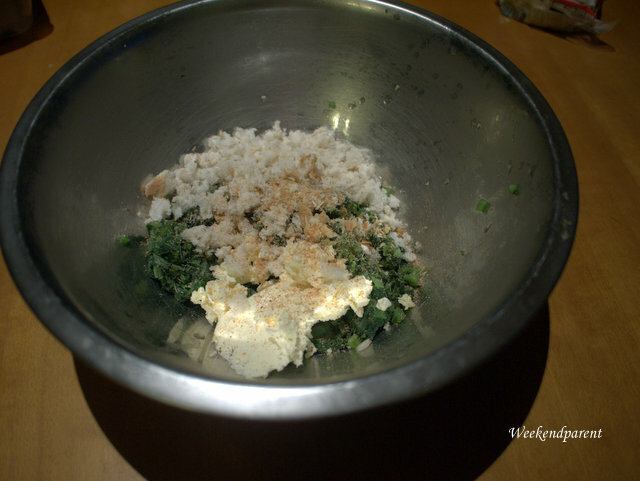 So far in Canberra, the weeds that I have worked out how to eat are: dandelions (I like them stir-fried and served with oyster sauce to reduce the bitterness), a type of wild lettuce thingy that I don’t know what it is called, milk thistle, and (seen in an article recently, not yet tried) chickweed. 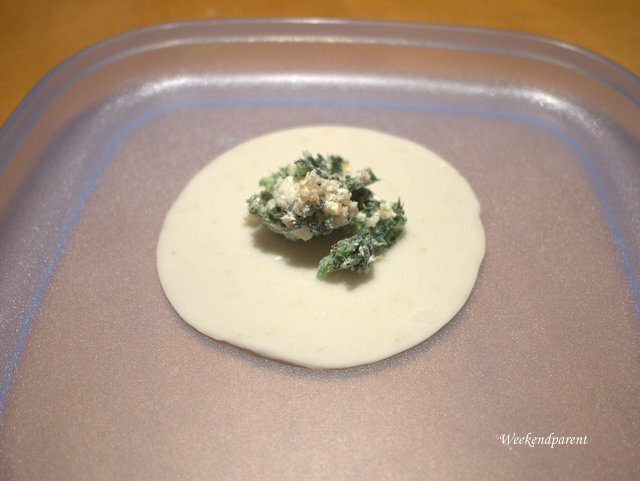 A wonderful recipe, Serina, how inventive… have you ever tried making cheese with those thistles? Matthew Evans made it on one of his Gourmet Farmer episodes! Thank you. I had no idea that thistle milk could be used to coagulate milk to make cheese instead of rennet (but I do now). Something else to try and experiment with. And all from a plant in my backyard that I thought was pesky and that I nearly killed with chemicals. We are truly abundant and blessed in Canberra.